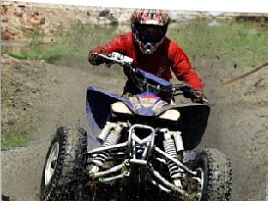 At Coil Spring Specialties, we manufacture coil springs for all makes and models of utility vehicles and motorcycles. The added, deleted or redistribution of weight due to chassis design will significantly change the ride and handling characteristics. On road and off road use also require there own specific springs. Utility vehicles using heavy duty bumpers, winches, and plows require springs that will carry the additional load and set the vehicle at the correct trim height. We can manufacture coil springs to meet your requirements.